When I arrived in France, one of the aspects of French life that began to influence my routines near immediately was the boulangerie. As time went on, I learned that it plays an integral role in daily life and can be examined as a focal point in the phenomena of French life—an exposé of French culture. 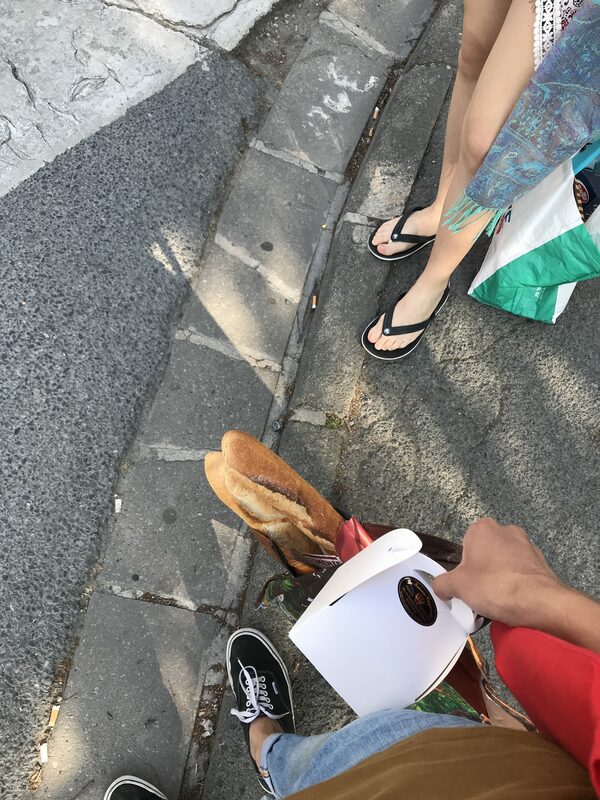 Even though it exists for the simple purpose of serving bread, it transcends simplicity to become a primary facet of French life. Furthermore, the boulangerie is central to the “French experience” and is an access point to French culture. Boulangerie is the French word for bakery and is an inclusive place, attracting customers at all times of day, in necessity and delight. It can be found on any street corner, block, or road—in any village, town, or city. Put simply, the boulangerie can be found everywhere. As the bakery, it caters one of the bases of the French diet—bread. Accordingly, it serves all kinds such as baguette, pain paysan, brioche, pain complet…etc.. Me, when I go inside a boulangerie, I often go for the baguette—classic. Because bread is so important to French life and culture, many often find themselves heading to the boulangerie in necessity to continue their meals and habits. In addition to serving bread, the boulangerie offers a mouth-watering array of pastries and sweets. These are often kept in the glass display situated between the bakers and customers. On top of pastries and sweets, the boulangerie serves breakfast goods and small snacks such as the croissant, pain au chocolat, quiche, and sandwiches, thus making the boulangerie one of the primary locations for breakfast and lunch. This effectively renders the boulangerie not only a place for necessity, but also delight. 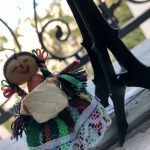 These attributes are a given—they are obvious—but the boulangerie also carries the attribute of being an inclusive place. By offering a wide range of choices in breads, it, in effect, accommodates those who might otherwise be unable to take part in the “French experience” of the boulangerie. One can easily choose bread made from wheat, rice, rye, corn, or seeds of all kinds, or even gluten and sugar-free breads, catering to those with allergies. In addition, the boulangerie caters at all price-points, catering to those with different income levels. For example, the price of baguette—arguably the primary item that the boulangerie bakes and what customers buy—is controlled by the government and is set accordingly. In Reims, my city, I would find baguette for .95€, or in Paris for 1.20€. If one has cravings for something more special the artisan boulangeries are an option. Me, I have never walked into one of these, the normal ones are already quite good, but to try it is a must! Overall, these variations and accommodations, in effect, give the boulangerie an inclusive quality that adds to the definition of the boulangerie. By playing the important role of serving bread (as well as other foods such as the croissant, for example)—bread as an irremovable facet of French life— the boulangerie cements itself as an integral aspect of French daily life and culture. As one of the primary bases of the French diet, bread is served in or with practically every meal of the day. When a foreigner arrives to France from a country where bread is not eaten as staple, he/she will have a hard time avoiding bread even if he/she does not like it—it is virtually impossible to avoid. This gives the boulangerie an important role to play in satisfying the French attribute of life of eating bread. The boulangerie also is one of the primary venues to participate in the appreciation of other “central” French iconic foods, such as the croissant and sandwiches made with baguettes. Thus, as the principal supplier of bread (given bread’s importance to the French diet) and other integral foods, the boulangerie is elevated to a central position in French life and culture. To attest to the value of the boulangerie, it is one of the few places that remains open on Sundays. While many businesses (and nearly all of France for that matter) are closed, the boulangerie continues to operate and serve. Its near-perpetual operation, unlike the vast majority of other businesses, attests to the centrality of the boulangerie to French life and culture. Not only is the boulangerie important because it serves bread—the basis of the French diet— and other foods, it is important because it is also an access point to view and understand French life and culture, especially for foreigners. The boulangerie is the living convention on the French discourse on the art of making bread, perfected and enriched over the centuries. While the art of making bread perhaps can be called universal, its forms vary across regions and cultures, with each people holding their own unique discourse on perfecting bread. In the case of France, the boulangerie is the vehicle for delivering the French discourse on the art of making bread which any individual can partake in simply by purchasing a baguette, the masterpiece of the French discourse. In this way, it is an access point to view French culture because the foreigner can see the culinary obsession to detail and ingredients tasting in harmony with one another, a facet so typical to French culture. Additionally, bread itself is typical to French culture as well as the many “cultural” icons that are served there, such as the baguette, croissant, and even macarons. Personally, as an integrating foreigner, I soon found myself going to the boulangerie for nearly every meal. Not necessarily to eat my meals in one, but to pick up the ingredients to make them. It became habit to walk into a boulangerie to grab my morning croissant and café; it became habit to stop by the boulangerie to get my sandwich for lunch or my bread to make dinner recipes. Even when I was not in the mood for bread, or even my morning croissant, the boulangerie was still there to cater to my other tastes and cravings. 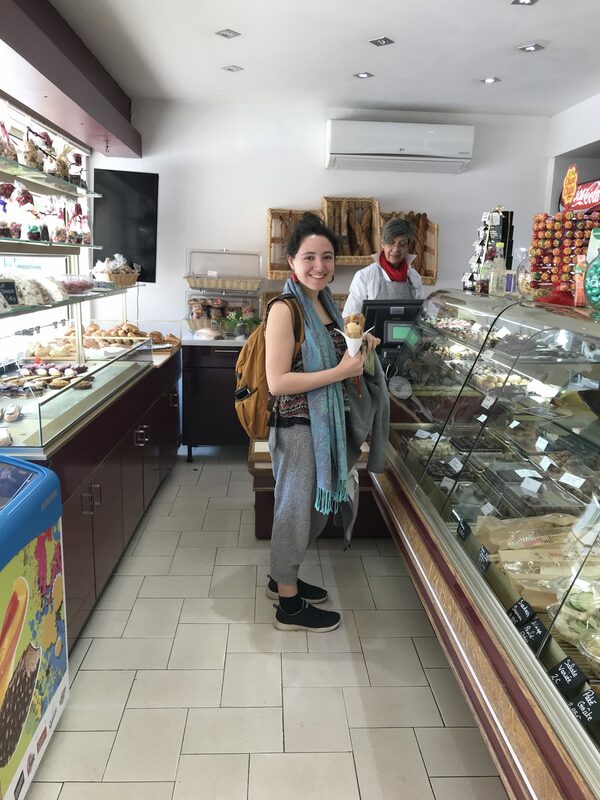 In going to the boulangerie, I began to better understand the valued role that bread, morning pastries, and sandwiches play in French culture as well as the arts the are employed to make them. Coming back to the U.S. for the summer (currently), I miss the boulangerie. I miss walking by a the storefront and smelling the freshly-baked bread and picking up my morning croissants for breakfast, and even seeing old ladies with baguettes sticking out of their small purses. Being away from France—even though its temporary—I realize how integral the boulangerie is to French life. I see how it is among one of the most simple and direct ways to access French life and culture itself. When my mother came and visited me in Reims during the winter vacation from Northern California, she quickly became “addicted” to the boulangerie and later told me in a FaceTime call after she left that she missed the boulangerie for all of its breads and sandwiches, including the fine attention to detail in the balancing of taste and texture, something that is not the exactly same in the U.S. as it is in France. As a foreigner the boulangerie quickly affects your routines and soon it becomes a part of your life, too.